The most important photograph I never took. Emilia and I had our first visit with the baby doctor today. 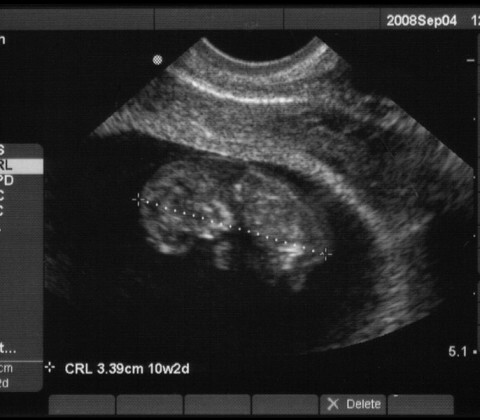 The doctor performed an ultrasound and we also were able to hear the baby’s heartbeat for the first time. So I present to you, Baby Mahoney. 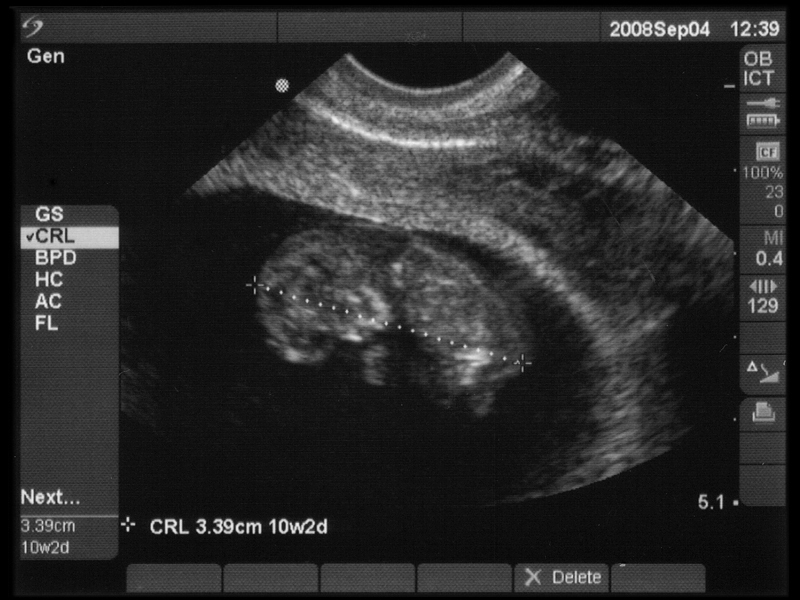 A very robust 3.39cm long at 10 weeks and 2 days old and the heartbeat at a very healthy 170 beats per minute. Is it too early to start spoiling him or her?